This is The Watson Twins on KCRW's wonderful Morning Becomes Eclectic programme, this particular performance took place on Monday 9th April 2007 at KCRW Studios, Santa Monica, CA, USA. 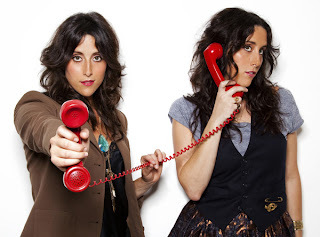 I would imagine like a good number of music fans I became aware of The Watson Twins when they recorded 'Rabbit Fur Coat', their collaboration under the name Jenny Lewis with the Watson Twins. Jenny Lewis was of course the singer with Rilo Kiley, a band that has been mentioned in positive terms here on Beehive Candy in the past. This set includes a number of songs from their excellent 2006 release 'Southern Manners' and is a good introduction to the band for those unfarmiliar with them. Sound Quality: Excellent stereo mp3@160kbps. In support of their new release, Sweet Sister, Annuals are currently touring with The Most Serene Republic and What Laura Says for the first leg of their summer tour . 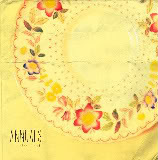 In 2006, the six members of Raleigh, NC group Annuals earned critical acclaim with their debut album, Be He Me. Their expansive, energetic sound and tight pop sensibilities captured the hearts and ears of listeners and critics alike, and was followed by, Such Fun, on Canvasback Records in 2008. At an age where many are just starting their careers, Annuals, armed with a reputation for solid songwriting and several years of experience, now goes back to the formula and sound that first cemented their acclaim. The Sweet Sister EP marks band leader Adam Baker's return to the producer role, Annuals' return to a more tight-knit DIY collective, and a pure distillation of their trademark quirky pop experimentalism. Amy Winehouse - Norway 2007. 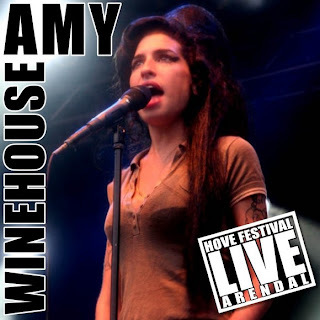 This is Amy Winehouse live on the Amfiscenen Stage at the first Hove Festival in Arendal, Norway back on the 26th June 2007. This is a superb concert and includes a couple of excellent covers (Cupid, and Monkey Man) along with the regular material performed at the time. Despite the obsession of tabloid newspapers over every little flaw and mistake in Amy's life this concert reminds us of just how good an artist she is. During her 2009 stay in St. Lucia Amy Winehouse worked on new music with producer Salaam Remi. It has been confirmed by Island that a new album is due in 2010, Island co-president Darcus Beese said, "I've heard a couple of song demos that have absolutely floored me". On 27 April 2010, Winehouse's spokesperson said she was recording new material with Mark Ronson. Sound Quality: Excellent stereo mp3@192kbps.